The MVAJ range is a family of high-speed tripping and control relays. 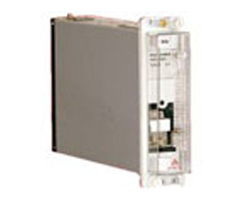 The MVAJ range consists of highly reliable hinged armature relays designed to directly operate circuit breaker trip coils. Built to very high specifications, the MVAJ range provides an extremely flexible and reliable link between the protective relays and the circuit breakers. Equipped with a wide range of features and configurations, the MVAJ range can be applied to all types of tripping schemes. Operating at high speed with very little contact bounce, this range is available in hand, electrical and self-reset models. An external link connection enables selection of high or low burdens and a delayed cut-off is available for high-burden applications. The MVAJ range is also equipped with AC or DC operating functions for low burden configurations and it ensures immunity to any wiring capacitance discharge.